As we age, many of us experience increasing aches and pains, especially in the morning or on cold or rainy days. We also face a greater likelihood of developing diseases such as diabetes, cardiovascular disease, and arthritis, just to name a few. However, one of the most difficult issues for most seniors to deal with is the fact that as we age, our memory is likely to become increasingly impaired. A certain subset of us will develop Alzheimer’s disease or dementia, but few will entirely avoid what are gently referred to as “senior moments.” As the population in the United States continues to age, the issue of memory loss becomes even more important, and a great deal of research is taking place which seeks to find ways to reduce the speed of cognitive decline. Much of this research focuses on the hippocampus, a structure in the temporal lobe of the brain that is linked to learning and memory. As we grow older, it is one of the first regions in the brain to show signs of deterioration. Past studies have shown that adults who are more physically active tend to have increased hippocampal volume. These studies also revealed that exercise can enhance cognitive ability and memory performance. It has been posited that physical activity stimulates neurogenesis, the growth of new brain cells, thus keeping the brain “young.” Researching this question is difficult, since the changes in brain function produced by neurogenesis are generally detected over long periods of time. In a new study, published in Proceedings of the National Academy of Sciences, researchers ran a series of experiments to determine whether exercise enhances memory over a very short span of time: just minutes, rather than weeks or months. The researchers charted measurable improvements to memory-based brain activity during the first few minutes after light exercise. Brain imaging definitively showed that there was improved connectivity between the dentate gyrus, a part of the hippocampus that plays a role in establishing new memories, and in the cortical areas of the brain, which are involved in the processing of detailed memories. When the researchers tested participants using standard memory recall tests, they saw that increased connectivity was linked with improved memory performance. How much exercise was required to demonstrate this improvement? Just 10 minutes. 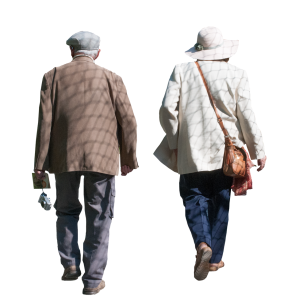 Research co-author Dr. Michael Yassa explained that, “We observed that 10-minute periods of exercise showed results immediately afterwards.” Dr. Yassa emphasizes that even short walking breaks throughout the day can have considerable effects on improving memory function and cognition. The next steps in the team’s research will be to determine if these positive results also apply to older adults who have an increased risk of cognitive decline. They also hope to understand if regular light exercise alters the brain’s structure and function over long periods of time, and to determine the ideal amount of exercise required to make an important and lasting difference. While their work will take a while, ours should only take 10 minutes. Just 10 minutes of light exercise, repeated a few times throughout the day, may not only help keep us physically fit, but may keep us cognitively fit as well. At Atlantic Coast Healthcare and Rehabilitation Center, in Lakewood, NJ, our goal is to offer activities that stimulate both mind and body. We fashion each day’s recreation schedule with the primary purpose of encouraging social interaction and promoting physical health and fitness. To accommodate different interests and personal preferences, our Activities Director designs flexible schedules, with a variety of stimulating and engaging activity options.